BAGHDAD — Now that combat operations have ended, it seems soldiers have time to work on their swing. 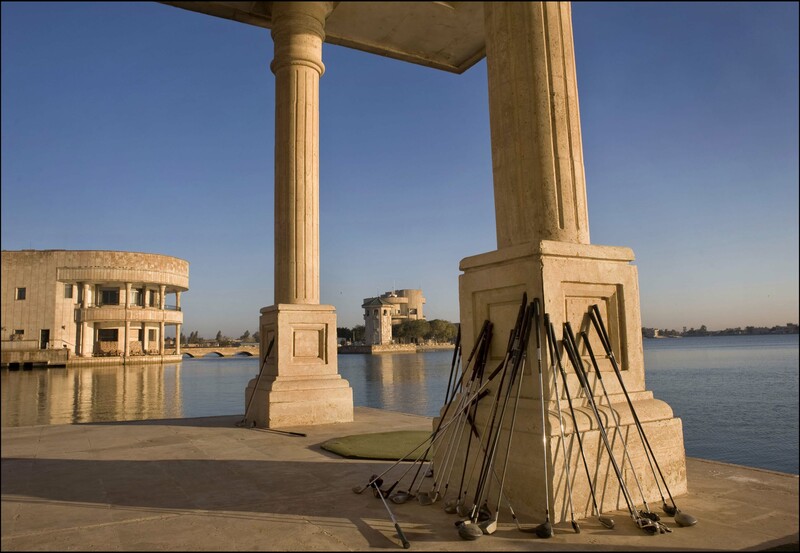 It seems there’s a driving range at each one of Saddam Hussein’s old palaces at Camp Victory in Iraq. “If you dredged the lake you’d probably find close to 10,000 golf balls,” said Maj. Kristian Sorensen, an Army spokesman at Camp Victory. Saddam’s former palaces, now packed with American soldiers and contractors, sit around a man made lake. Supposedly, Saddam shut off Baghdad’s water for three days in order to fill the lakes. Now it’s also filled with golf balls and giant carp fed by American GIs. Looks like a lot of fun driving golf balls into that lake. It’s a good way to relax after a hard day trying to drag that country kicking and screaming into the 21st century.